It’s been about two and a half months since we completed our café refit and changed the way we serve to tables. If you haven’t visited us since May, you’re in for a treat! 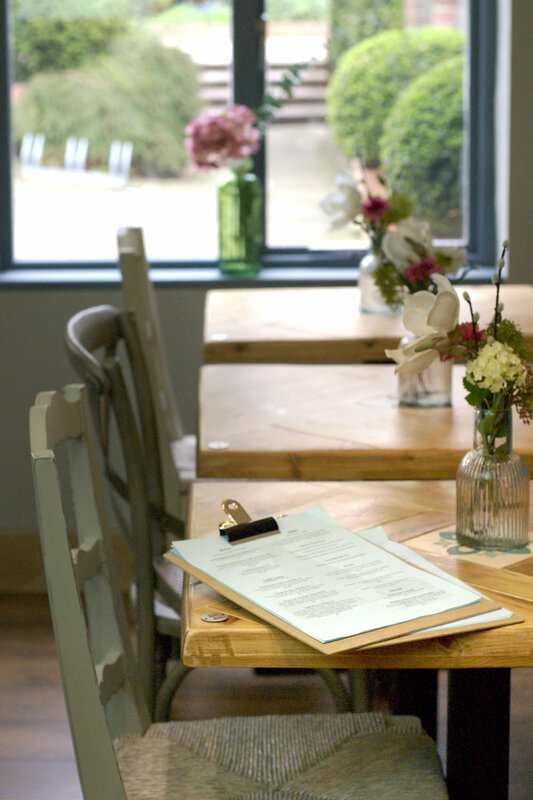 Our café refit began by taking out all of the old tables which were fixed to the floor, and we have replaced them with nearly all freestanding tables - most of which have been hand crafted in-house from reclaimed floorboards and handmade tiles. This was hard work, but we are incredibly pleased with the finished result, and hope you will agree it’s looking wonderfully rustic! We then refreshed the décor along with the crockery and staff uniforms. As a customer, you no longer need to queue for food. Instead, one of our friendly and professional waiting staff members will show you to a table with a menu, you can then go to a pay point to order food and drinks which are bought over to you. We have added some new dishes to the lunch menu, a delicious range of brunch dishes in the morning, and a bookable posh afternoon tea on Tuesdays, Thursdays and Sundays after 2.30pm (you can pop us a call on 0115 9329 442 to book). We know that many of you will be pleased to hear that we have expanded our range of alcoholic drinks to include a range of beers, gins and Summer cocktails! It is fair to say that some customers would prefer us not to change very much, with a few having a real attachment to the particular style we had before, and it is really lovely that they care so much about the way we do things! Overwhelmingly, the response to the changes have been fantastic and our customers are enjoying the more contemporary feel, the additional space and access, and having everything brought to them at their tables. Everybody in the team loves the new look and it is invigorating for us to give the whole café a real shot in the arm. We value your thoughts and input greatly here at The Bottle Kiln, after all we strive to create a space that you can relax and enjoy! After you have visited, please let us know what you think, and if there is anything else you would particularly like to see that we haven’t introduced yet.